The Talaverano, with problems, starts without leading as usual. González, again the fastest in SSP300 with Ana Carrasco 7ª. In the first three appointments I had only reason to be happy, or even more, euphoric. You do not see every day that a driver makes full wins, nine in nine races, in fact he has already equaled the best start in Neil Hodgson's Superbike history. 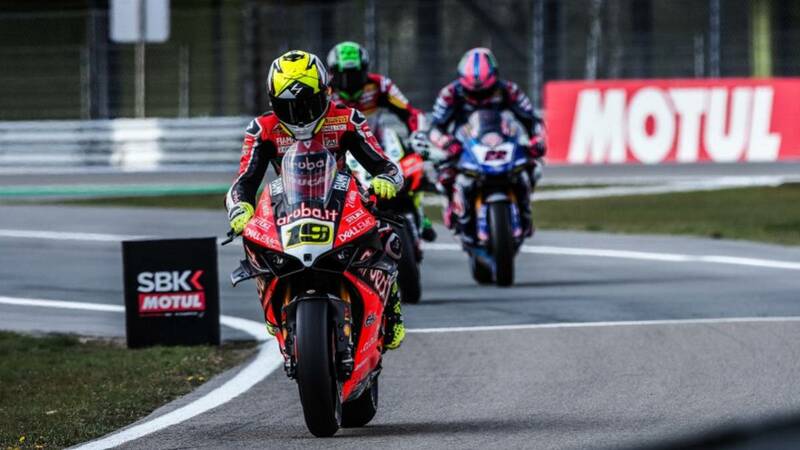 But Assen's fourth date started differently for Bautista, , perhaps with the first signs of concern in what was being a perfect season: ended the first day of the sixth-place free just after they removed 250 revolutions to his Ducati. Coincidence? The passage of the days and the sessions will be saying it, but what is already a fact is that it has been to reach that limitation to your motorcycle and stop leading the beginning of a weekend, something that had done with ease in Australia, Thailand and Aragon. However, it is also true that this delayed position for the Talaverano is only a difference of just over one tenth with the best time of Tom Sykes, as well as had certain problems with a Ducati that they had to dismantle between the two workouts . In addition to the British BMW, Rea, Haslam, Reiterberger and Van der Mark outclassed Alvaro, who could start as he likes: dominating without leaving the rest of the option from the first day. Jordi Torres was 12th and Barberá, 16th. Who does follow with the same push as in Aragón is Manuel González, first poleman and winner, which leaved the Supersport 300 classifications with three Spaniards among the top ten (Pérez 4º, Ana Carrasco 7ª and Sánchez 8º). And in Supersport, the fastest was Krummenacher with Isaac Viñales seventh and best Spanish. Tomorrow Saturday the Superpoles of the three categories and the first Superbike race will be held at 14: 00.